Cayman Island MNP and FNP. The solution implemented on the Caymans Islands is an Centralized Database solution with inter operator messaging. It follows the standard number porting process for Fixed and Mobile, with IVR and SMS validation solutions in place. The project started in February 2011 and number portability went live on 20 February 2012. LNP (Local Number Portability) for fixed and mobile numbers was introduced on the Cayman Islands in 2012. The Caymanian operators formed a consortium under the supervision of the regulatory authority ICTA and choose after a selection process the Dutch company Porting Access B.V. to provide the operators with their services for fully automated and also manual porting. Infinity broadband joint this consortium of operators (as well as the multi operator contract) since we started providing our services in 2013 to the Caymanian population and businesses. Ever since we have used the Inports® application from Porting Access B.V. to perform our porting requests towards the other Caymanian operators. Though Infinity Broadband was not part of the vendor selection procedure, we feel confident the right decision was made. We see Inports® as an easy adaptable, cost effective solution and we recommend this solution to countries who are in the phase of selecting the right vendor for such services. 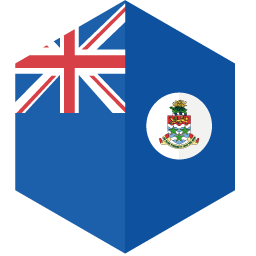 I have had the pleasure of working with PortingXS since 2011 on the implementation of local number portability (LNP) in the Cayman Islands. PortingXS successfully won their bid to provide a solution for LNP and in March 2012 Logic, along with the other telecom providers in the Cayman Islands, successfully launched LNP. We have found over the last few months that the staff at PortingXS has been very supportive and capable of handling all issues that have arose through the launch of LNP. We find them to be very professional and accommodating. Therefore, we have no reservation in recommending PortingXS. Please do not hesitate to contact me directly with any further questions. I have had the pleasure of working with PortingXS since 2011 on the implementation of local number portability (LNP). We see Inports® as an easy adaptable, cost effective solution and we recommend this solution to countries. The request was made by the operators of the Cayman Islands, that formed an operator consortium.